The camel is considered a serene creature. 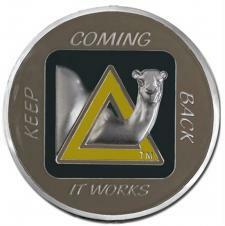 The back of this beautiful medallion reads: The Camel Each day goes twice to his knees. He picks up his load with the greatest of ease. He walks through the day with his held high and stays for the day completely dry.